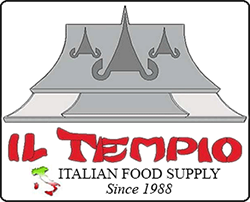 Have IL TEMPIO Delivered directly to your door! 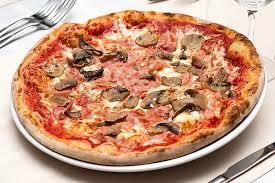 Have	IL TEMPIO	delivered to you, anywhere on Koh Samui! For only 100 baht! 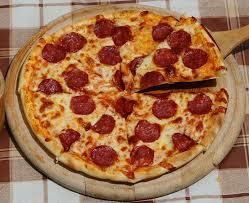 Italian Restaurant & Deli Shop with imported delicatessen from Italy cold cuts, cheeses, wine, pasta, pizza and much more. All of our products are imported directly from Italy, guarantee of quality, freshness and genuinity. The kitchen is then dotted with dishes strictly selected by our Chef, prepared with passion and originality. 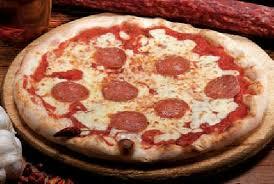 We also produce a wide selection of fresh pasta, various type of bread and classic Italian pizza. Burrata Cheese with Tomato and Fresh Basil. A fresh Burrata salad is a thing of beauty - a simple and delicious ode to the Queen of Italian cheeses. If you're wondering what burrata is, it's the creamy decadent sibling to mozzarella with an unrivalled rich and buttery interior. The unique creamy tangy notes of this prized cheese also offer the perfect balance to sweet peaches, citrusy oranges or offset the all important acidity of fresh tomatoes in delicious burrata salads. Fresh Mozzarella Fior di Latte with Tomato and Fresh Basil. Caprese salad is a simple Italian salad, made of sliced fresh mozzarella, tomatoes, and sweet basil, seasoned with salt and olive oil; it is usually arranged on a plate in restaurant practice. Italian Buffalo Mozzarella with Fresh Tomato and Fresh Basil. Caprese Salad (Insalata Caprese) is a famous and traditional Italian entrée or Anti pasto. A Caprese salad is made from fresh tomato, buffalo mozzarella, basil, olive oil, salt and pepper. Green Salad, Tomato, Cucumber, Mozzarella, Cooked Ham, Boiled Egg. Our special "IL TEMPIO salad" has been created to give freshness and energy at the same time. Mediterranean Salad. Green Salad, Tomato, Cucumber, Black Olives, Red Onion, Feta Cheese. Foods like olive oil, low fat feta cheese, dark leafy greens, beans, onions and tomatoes are all basic Mediterranean ingredients and are featured in this Simple Cooking with Heart salad! Truffle Burrata Cheese with Tomato and Fresh Basil. Truffled Burrata, strands of fresh pulled mozzarella are soaked in cream, mixed with earthy black truffles and then enveloped in a pocket of fresh mozzarella. Italian Seasoned Beef ( Low-Fat Meat ). Bresaola is air-dried, salted beef (but also horse, venison and pork) that has been aged two or three months until it becomes hard and turns a dark red, almost purple color. It is made from top (inside) round, and is lean and tender, with a sweet, musty smell. 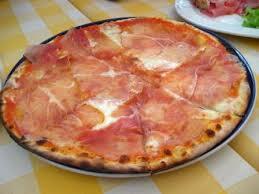 Italian Cooked ham Slice. Prosciutto cotto, or “cooked ham,” is bright pink in color and lighter in flavor than its crudo cousin. This prosciutto is slowly cooked at controlled temperatures, then cut into tender, moist slices. Sometimes prosciutto cotto is seasoned or brined with herbs, spices, and even truffles for an added flavor twist. Italian Coppa Piacentina DOP Sliced. Coppa Piacentina is produced in the Arda Valley near Piacenza. It is made with a big, round cut of pork that runs from where the shoulder meets the neck to the fifth-sixth rib of the carré. ... The meat is aged between six months to a year and can be found stuffed into a pork casing or beef intestine. Guanciale al Pepe 100 gr. Guanciale is the cured cure to all of your flavor problems. Including a recipe for a simple, delicious Pasta alla Gricia. Guanciale, An Italian cured meat or salami made from pork cheek. suitable for, Pasta Cacio e Pepe, Amatriciana and Gricia. Italian Mortadella ( Pork meat ) with Pistachios. Mortadella is a large Italian sausage or luncheon meat ( salume ) made of finely hashed or ground, heat-cured pork, which incorporates at least 15% small cubes of pork fat (principally the hard fat from the neck of the pig). Mortadella is a product of Bologna, Italy. It is flavoured with spices, including whole or ground black pepper, myrtle berries, and pistachios. Pancetta is an Italian bacon made of pork belly meat that is salt cured. Pancetta in Italy is typically cooked to add depth to soups and pastas. Pancetta Tesa Smoked 100 gr. Pancetta is a type of cured pork belly, but unlike its sweet and smoky American cousin bacon, Italian pancetta is air-dried after its initial cure. ... Pancetta tesa is flat, dried in its natural shape until it is so firm and dry that it can be eaten raw like prosciutto. Prosciutto is an Italian dry-cured ham that is usually thinly sliced and served uncooked; this style is called prosciutto crudo in Italian (or simply crudo) and is distinguished from cooked ham, prosciutto cotto. A number of regions have their own variations of prosciutto, each with degrees of protected status, but the most prized are the Prosciutto di Parma PDO from the Emilia-Romagna region. Sliced prosciutto crudo in Italian cuisine is often served as an antipasto, wrapped around grissini, or accompanied with melon. 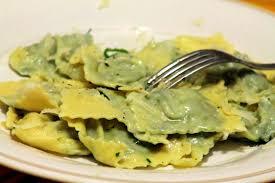 It is also eaten as accompaniment to cooked spring vegetables, such as asparagus or peas. 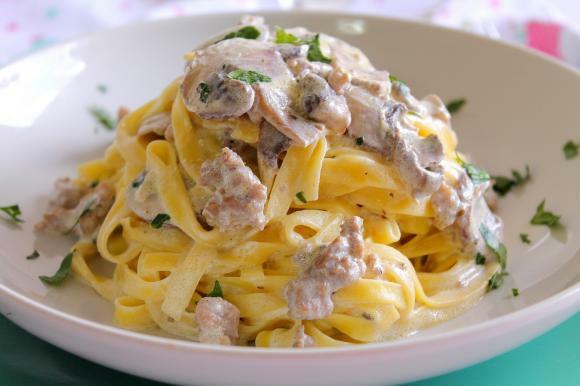 It may be included in a simple pasta sauce made with cream, or a Tuscan dish of tagliatelle and vegetables. It is used in stuffings for other meats, such as veal, as a wrap around veal or steak, in a filled bread, or as a pizza topping. Italian Salami "Milano". Salami Milano and Salami Genoa are basically the same sausage. They use the same raw materials and spices. Where they differ is the proportions of pork and beef: Genoa typically has equal amounts of beef and pork, while Milano tends to have slightly more pork than beef. Italian Salami "Napoli". The salami called “Napoli” is really produced everywhere in Campania, and it has many characteristics similar to Salame di Mugnano del Cardinale, amongst which, that it was historically considered such a high quality merchandise that it was used to pay for professional work and eaten during celebrations. Italian Salami "Toscano" Sliced. A traditional Italian salami made from finely ground pork that is stuffed into a casing and dry cured. Similar in appearance and texture to Genoa salami, Toscano is larger in size and flavored with garlic. San Daniele ( Cured Ham ) 100 gr. Prosciutto di San Daniele is an Italian product of excellence; a miracle performed for centuries in the exact same way, retaining the same unique taste of tradition. Noble because it blends premium quality with a fine, delicate flavour. 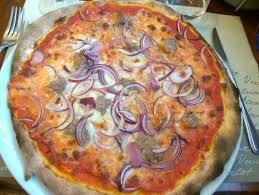 Natural because it is made only with meat from Italian pigs, sea salt and the fresh San Daniele air. Genuine because it has no hidden surprises, only a pristine environment and Mother Nature’s magic; the highlands, Alps, Adriatic Sea, and the wind. Unique because it is more than a ham, it’s a way of life. Italian Speck "Alto Adige". An Italian cured, smoked meat native to the Alto Adige, a region that straddles Northern Italy and Southern Austria. To make speck, a boned pork leg is cured in salt, and spices like laurel and juniper, then intermittently slow-smoked, using pine or juniper wood for several months. Asiago is an Italian cow's milk cheese that can assume different textures, according to its aging, from smooth for the fresh Asiago to a crumbly texture for the aged cheese. Bocconcini Fior di Latte 100 gr. Bocconcini in water of cow's milk cream ( bag 100 gr. 1 Pc. ) Fresh Fior Di Latte cheese is same as Bocconcini cheese. Being suspended in water, the cheese maintains its fressness. Soft, fresh, elastically textured and chewy in consistency with a hint of salt cheese finds its way mostly on pizzas, salads, and other side dishes. Brie is a soft cow's-milk cheese named after Brie, the French region from which it originated. It is pale in color with a slight grayish tinge under a rind of white mould. The rind is typically eaten, with its flavor depending largely upon the ingredients used and its manufacturing environment. Italian Buffalo Mozzarella in Water, Pack ( 2 Pcs x 125 gr ). Buffalo mozzarella is a mozzarella made from the milk of Italian Mediterranean buffalo. It is a dairy product traditionally manufactured in Campania, especially in the provinces of Caserta and Salerno. Burrata Hand Made 150 gr. Burrata Hand-Made Italian Style ( Cow Milk ) Box 150 gr. Burrata is a fresh Italian cow milk cheese made from mozzarella and cream. The outer shell is solid mozzarella, while the inside contains stracciatella and cream, giving it an unusual, soft texture. It is typical of Apulia. Fontina is an Italian cow's milk cheese. Although made throughout the year, the best cheese is obtained during the summer when the cows are moved to an altitude of 550 to 700 meters and fed only with rich grass to give it a distinctive aroma. Fontina has PDO status under European law. Gorgonzola is a veined Italian blue cheese, made from unskimmed cow's milk. It can be buttery or firm, crumbly and quite salty, with a "bite" from its blue veining. Grana Padano 36 Month, Cow Cheese Aged 36 Month. Grana Padano is a hard, slow-ripened, semi-fat, cow's-milk cheese from Italy, comparable to Parmigiano Reggiano. Grana Padano has had protected designation of origin status since 1996. It is made from cows' milk produced in the Po River valley. Greek Yogurt without sugar and additives, cow's milk. Box 400 gr. Greek yogurt makers add an extra step to their process so that excess water, lactose, and minerals drain out. What’s left is a creamy, rich yogurt with less sugar, more carbs, and a tart taste. The acidity also makes it easier for your body to absorb other nutrients. Plain Greek yogurt is a nutrient-packed snack that has many health benefits. Read on to discover the benefits of adding Greek yogurt to your diet. Mascarpone Cream, Box 400 gr. Mascarpone is an Italian cream cheese coagulated by the addition of certain acidic substances such as lemon juice, vinegar or citric acid. It is recognized as a Prodotto agroalimentare tradizionale. Montasio is a mountain cheese made from cow's milk produced in northeastern Italy in the regions of Friuli-Venezia Giulia and Veneto. It was awarded a protected designation of origin in 1986. Parmigiano Reggiano 36 Month, Cow Cheese Aged 36 Month. Parmigiano-Reggiano is an Italian hard, granular cheese. The name "Parmesan" is often used generically for the same cheese made outside the traditional areas of production in Italy, although this is prohibited in trading in the European Economic Area under European law. Pecorino al Pepe Nero is a fresh sheep's milk cheese with black peppercorns. It comes from the Italian island of Sicily. It is a mild, tangy and creamy table cheese and has a pleasant bite of spice that does not overwhelm. Pecorino con Peperoncino, a classic pecorino coming from Sicily, produced with sheep`s milk and enriched with chili pepper. Because of its solid and spicy taste, this is a cheese perfect with honey or sweet jam. Pecorino alle Noci is an Italian cheese made with highly selected sheep's milk pasteurized at optimum temperature. Cheese wheels are first rubbed with virgin olive oil, covered with walnut leaves and left to mature in huge wooden basins. Later, they are matured in terra cotta jars in a natural environment. The unique maturation process gives the cheese a white crumbly and grainy texture, soft mouthfeel, sheepy flavour and an aftertaste of walnut leaves. Pecorino Romano is a hard, salty Italian cheese, often used for grating, made out of sheep's milk. Although the name may suggest that it is a typical cheese from Rome, 97% of its production occurs in Sardinia. Pecorino Romano was a staple in the diet for the legionaries of ancient Rome. Scamorza is a fresh, semi-soft cow’s milk cheese belonging to the pasta filata family. It is pear shaped due to a production method called “strangling the cheese”, where the fresh round cheese is hung to dry by means of a string tied a third of the way from the top. Our smoked version (affumicata) is smoked with traditional essence of beech that brings out a wonderful smoky flavour. Scamorza is made in the same way as mozzarella but is a drier, firmer cheese. This cheese melts well because is less watery than fresh mozzarella. Taleggio is a semisoft, washed-rind, smear-ripened Italian cheese that is named after Val Taleggio. The cheese has a thin crust and a strong aroma, but its flavor is comparatively mild with an unusual fruity tang. Cow's milk. Truffle Burrata in Water Box 150 gr. Black Truffle Burrata Hand-Made Italian Style ( Cow Milk ) Box 150 gr. This is a new burrata and a variation of the classic one to offer our customers something new and surprising! Burrata is a spun paste fresh cheese, similar to mozzarella with a softer and stringier consistency. This cheese is typical of Murgia, a region in Puglia, and specifically from Corato (Bari). This is a sweet, buttery cheese with white skin is that is smooth and glossy. Grated truffle is mixed with the stretchy strings of paste that are inside it. This burrata is hand made from beginning to end. Aglianico del Vulture is an Italian red wine based on the Aglianico grape and produced in the Vulture area of Basilicata. Aglianico del Vulture wines have the potential to be full-bodied, richly textured with a firm tannic structure and chocolate-cherry notes. In their youth, the wines can be more rustic and harsh but they can develop soft tannins and more silky texture as they age. Most of the vineyards are located on higher altitudes in the region, typically between 450 to 600 meters. Pair with cold cuts, Cheeses and Pasta. Bottle 750 ml. 13% Vol. Amarone della Valpolicella, usually known as Amarone, is a typically rich Italian dry red wine made from the partially dried grapes of the Corvina (45–95%, of which up to 50% could be substituted with Corvinone), Rondinella (5–30%) and other approved red grape varieties (up to 25%). Valpolicella is in the province of Verona, within the large Veneto region near Venice. The final result is a very ripe, raisiny, full-bodied wine with very little acid. The robust, sometimes oxidized character of traditional Amarones make them especially well-suited for pairing with steaks, stews and ribs. The red fruit intensity and softer tannins of modern Amarones mean they pair well with pork, veal, and poultry dishes. All Amarones work well with big flavored cheeses. Bottle 750 ml. 15.5% Vol. The characteristic hints of cherries and pepper are particularly enjoyable in this wine, followed by subtle nuances of officinal herbs. Dry and well-balanced. The traditional acidic note combines well with the softness of the fruit to form a satisfying contrast and produce a supple, feisty wine. Food pairing: Beef, Lamb, Game (deer, venison), Gorgonzola cheese. Bottle 750 ml. 15% Vol. Barbera d'Asti is an Italian red wine made from the Barbera grape variety. It is produced in the hilly areas of the provinces of Asti (Nort-owest Italy). Under the DOCG rules, a minimum of 90% Barbera grapes must be used; the balance may be made up with either Freisa, Grignolino or Dolcetto grapes. To be served with veal dishes. Bottle 750 ml. 13.5% Vol. Chianti from Leonardo is claimed to be one of the most important wines of its region, (Toscana). Made from 85% Sangioviese, 10% Merlot and 5% from other grapes – Chianti undergoes a fermentation process for approximately 8 days only. The process takes with a controlled temperature of 28-29°C. Aroma: Persistent perfumes of cherries with gentle spicy notes and black pepper. 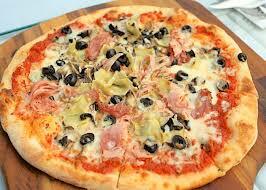 Food pairing: pasta and pizza dishes. Bottle 750 ml. 13% Vol. Dolcetto is a black Italian wine grape variety widely grown in the Piedmont region of northwest Italy. They can be tannic and fruity with moderate, or decidedly low, levels of acidity and are typically meant to be consumed within a few years after release. Overall, Dolcetto is considered a light easy drinking red wine that pairs well with pastas and pizza dishes. Bottle 750 ml 13% Vol. The Il Bruciato offers an intense ruby red color. On the nose, the aromas of ripe red berry fruit, sweet spices, and a light and fresh minty note are the most prominent sensations. The palate is well structured, persistent, and very pleasurable in its fruity finish and aftertaste. Pair it with excellent meat dishes. Bottle 750 ml. 13.5% Vol. A dashing ruby red, this medium-sweet summer-fruit cup has lashings of strawberries, raspberries, and blackcurrants, with a reinvigorating perlage and tight acidity to balance. A delight well-chilled on its own, or with a simple, fresh bowl of strawberries. Food pairing: Pork, Rich fish (salmon, tuna etc), Mature and hard cheese, Poultry, Cured Meat. Bottle 750 ml. 8% Vol. Lambrusco di Sorbara was awarded its DOC classification in 1970. It is situated north of Modena near the village of Sorbara in northern Italy's Emilia-Romagna region. This grape’s most distinctive feature is its flowering anomaly. Pair with fatty or grilled foods, such as pork rinds with beans, Parmigiano Reggiano cheese and lasagna. Bottle 750 ml. 11.5 Vol. Nero d'Avola from vineyards in the Sambuca di Sicilia area. The grapes are pressed lightly to avoid green tannins. Maceration at controlled temperature lasts for 10-12 days and the must is reassembled every 4 hours. Intense, ruby red with purplish highlights and intense red fruit, balsamic and floral aromas. Warm on the palate with a long-lasting finish and an aftertaste of woodland flowers. Excellent with roasts, game dishes and seasoned cheeses. Bottle 750 ml. 13% Vol. Primitivo is a variety of red grape grown across Puglia (South Italy), which has found its ideal habitat. Ideal to accompany it with pasta with meat sauce and with selected meat dishes. Bottle 750 ml. 13.5% Vol. This Wine captures all the aromas, the roundness and the maturity of the best varietals of Valpolicella, winified with the traditionals second fermentation of the pomace of the partially dried grapes. Ripasso wines can be served with a number dishes such as risotto and hearty pasta dishes. But they are at their best when paired with hearty dishes like roasted veal or lamb or braised or barbequed red meats like steak, sausage and game. Ripasso also goes well with aged cheeses like Parmigiano-Reggiano. Bottle 750 ml. 13.5% Vol. Santa Cristina offers a red color with purple highlights. The nose snows notes of ripe cherries, typical aromas both of Sangiovese and of Syrah well integrated with the balsamic sensation of mint which characterize Merlot. Pleasurable sensations of vanilla and coffee complete the bouquet. The palate is soft and ample with a fruity finish and aftertaste. This wine could also be paired with pasta with a red sauce or a pizza, also with a red sauce. Bottle 750 ml. 13% Vol. Valpolicella is a viticultural zone of the province of Verona, Italy, east of Lake Garda. This Wine expresses a freshness and integrity of aromas of the most typical grapes of Veneto. Valpolicella is a an excellent wine to pair with some Italian apetizers (antipasto) like salami, bruschetta (grilled bread with onion, tomato and olive oil), cured meat. It's perfect with pasta dishes, risotto or even pizza and could be an interesting pairing with tasty, fat fishes like salmon, tuna or cod. Bottle 750 ml. 12.5% Vol. Greco-Fiano are grown on the volcanic soils around the extinct Vulture volcano on altitudes up to 800 metres. This extends the ripening season and maintains high levels of acidity in the grapes, whilst developing bold fruit flavours. Fresh with aromas of stone fruits and hints of citrus. Flavors of peach & apricots with herbs and lemon zest on the finish. Pair with white fish or shellfish. Great with Spaghetti Pesto. Bottle 750 ml. 12% Vol. Chardonnay Tormaresca is a nice Puglia Wine ( South Italy Region ) Pale yellow in colour, this white boasts a medium nose exuding floral and fruity aromas. Discover this medium-bodied wine expressing refreshing acidity and offering a broad texture. It also unveils a medium mouthfeel that leads into a medium finish. Food pairing: Shellfish, Vegetarian, Appetizers and snacks. Bottle 750 ml. 12,5 Vol. Batasiolo's Gavi di Gavi is known for its distinctive and sophisticated taste made from the Italian Cortese grapes. This is a well-bodied, fresh and dry white wine with an inviting, harmonious taste with subtly bitter almond flavorings. The classic pairing with Gavi di Gavi and the Cortese grape is simple grilled white fish, particularly with herbs and olive oil. Shellfish is another winner. Bottle 750 ml. 12,5% Vol. VITIANO GRECHETTO Umbria IGP. The wine has a bright straw color with evident greenish reflections. The aromas appear dazzlingly elegant, rich in the aromatic range, with fresh notes that evolve towards appetizing hints of small flowers. Full on the palate, pleasant in its flavors, it has the substantial body of the best, ancient, whites of Central Italy. Food pairing: Pasta, Vegetarian, Appetizers and snacks, Lean fish, Cured Meat. Bottle 750 ml. 12,5% Vol. The grapes for this wine come from moderately young vines, The limestone-based soil with strata of clay, dating from the post-glacial era, together with manual picking, soft pressing and temperature-controlled fermentation, confers on this Lugana distinctive characteristics, such as its straw-like color with greenish highlights, its delicate scent and its tangy flavor. Perfect pairing with grilled Shrimp and Lobster as well as a pan of Italian Sea-food sauce pasta. Bottle 750 ml. 13% Vol. The ORVIETO CLASSICO DOC Campogrande shows a straw yellow color, The nose is intense and delicate with notes of orange flowers, peaches, and apricots. The palate is soft and fresh with a savory finish and a fruity aftertaste. This wine is produced from grapes from the Orvieto Classico appellation, which encompasses the area around the alluvial cliff on which the city of Orvieto is located. Pair with Pasta, Vegetarian, Appetizers and snacks, Lean fish, Cured Meat. Bottle 750 ml. 12,5 vol. The vineyards are situated in the eastern, morenic hills of Lake Garda with an elevation of 200-250 metres above sea level. The vines are planted with a south/south-west exposure on crumbly, well drained soils. Straw yellow in colour. Light and delicate on the nose, characterised by a subtle elegant floral nuance followed by hints of golden delicious apples and distinctive vegetal notes. Dry and medium-bodied, the palate faithfully reflects the nose, being tangy and satisfying, while at the same time simple and exceedingly enjoyable. Try with mixed grilled fish, peppered mussels and clams, sea bass baked in salt, Valencian paella, baccalà (salt cod), chicken salad, nuts and exotic fruit. Best served at 10°C (50°F). Bottle 750 ml. 12,5% Vol. The Allegrini family is one of the most renowned wineries in the world. This classic Veronese white wine is striking for its fresh and inviting breadth of aromas, sketched out with wild flowers and white peaches, and vibrant, vegetal notes. Fresh and simple with a supple body, dry and smoothly rounded on the palate. Light Lemon yellow in the glass; in the nose hints of pear and apple and in the mouth high acids, dry, and a taste of pear and white pepper. Pair with Shellfish, Vegetarian, Appetizers and snacks, Lean fish. Bottle 750 ml. 13% Vol. Verdicchio is a white Italian wine grape variety grown primarily in the Marche region of central Italy. Grapes Verdicchio makes a wine high in a lemonlike acidity with a characteristic finish of bitter almond. Perfect Pairing with Cheese · Cold cuts and offal · Fish, sushi and seafood · Pasta, rice and pizza · Poultry · Red meats · Sandwiches, pâtés and eggs. Bottle 750 ml. 13% Vol. Vermentino Poggio del Sasso Tuscany IGT Cantina di Montalcino to the sight gives a decisive straw yellow, clean and clear. The nose has excellent minerality, wet stone and flint immediately resonate with vibrant olfactory fragrance. Linden and hawthorn give freshness, green apple and gooseberry embellish with pleasant fruity notes. Food pairing: Pasta, Vegetarian, Appetizers and snacks, Lean fish, Cured Meat. Bottle 750 ml 12,5% Vol. Villa Antinori Bianco is one of the historic wines of the Antinori family. It was produced for the first time by Niccolò Antinori in the 1931 vintage and since then the label has remained virtually unchanged, as has the production philosophy, oriented towards a full representation of the wine’s source, the place where its grapes are cultivated. Villa Antinori Bianco shows a straw yellow color with greenish highlights. The nose, fruity and floral, offers much finesse and elegance with notes of bananas, pineapple, white flowers, and candied fruit. The palate is balanced with a good persistence and savory mineral notes on the finish and aftertaste. Pair: Fish BBQ., roasted meats, hearty pastas, salumi and strong cheeses. Bottle 750 ml. 12% Vol. Cavicchioli 1928 Rosé Spumante Dolce, white and evanescent foam; fine and lingering perlage; bright and pale pink “candy” color; fresh and fruity aroma; sweet, slightly spicy and aromatic taste with red fruit notes with a lingering aftertaste. Made from 100% Lambrusco grapes. In the vineyard, the vines are raised with a Guyot training system, with spurred cordon pruning, on loose mixed soils. Cavicchioli 1928 Rose Spumante Dolce should be drunk young and is excellent as an aperitif, to sweet and sour pairings, with risotto, tortellini, seafood dishes, enjoy it with fresh fruits. Bottle 750 ml. 9,5% Vol. Antinori Cipresseto Toscana Rose' IGT is a light pink in color. The nose offers fresh notes of raspberries and wild strawberries as its aromatic profile. The palate is soft, full, harmonious, and with a long a fruit finish and aftertaste. Cipresseto was given this name – which recalls the cypress ... its Tuscan character and was one of the first rosé wines to be produced in Italy. Pairing with Beef, Veal, Pork, Game (deer, venison), Mature and hard cheese, Poultry. Bottle 750 ml. 12% Vol. From one of Valdobbiadene’s oldest wineries, this tastes vital and fresh. The bright fruit flavours have good intensity and the bubbles are gently persistent, making it a great wine to go with food.Variety and Grapes: 100% Glera from classic production area hillside vineyards situated at medium altitude. Vinification Technique: Pressing, destemming, cooling of must and fermentation in steel tanks at controlled temperature. Second fermentation in ”cuve close”. Charmat Method. Best pairing with Finger food,” tapas,” light hors d’oeuvre and delicate dishes. Bottle 750 ml. 11% Vol. Nua' Prosecco Vino Spumante Extra Dry, Light straw yellow with green shimmers. Fruity, elegant, clean and typically aromatic. Soft, characteristic, pleasently fresh and harmonic. Ideals as aperitif, excellent with light courses, finger food and sushi. Bottle 750 ml. 11% Vol. Parallele 45 Rose' "Cotes du Rhone"
Paul Jaboulet Parallele 45 Rose', Attractive salmon pink color, with brilliant tint. Intense and rich with very ripe berries on the nose. The palate is Ample and generous with tart red berries and an attractive final note of freshness. The name originates from the 45th North parallel, which runs two kilometers from the domaine’s cellars near Tain L’Hermitage. This cuvée began in 1950 and represents the Jaboulet commitment to producing France’s finest Rhône value. Food pairing: Pork, Rich fish (salmon, tuna etc), Shellfish, Poultry. Bottle 750 ml. 13% Vol. Averna is a popular Italian bitter liqueur (classified as an amaro) that is still produced from the original 1868 recipe of natural ingredients. The herbs, roots, and citrus are allowed to infuse in the base liquor for two extended periods of time. What exactly is included in this herbal blend is a mystery (or secret) for the most part, but pomegranate and the essential oils of bitter lemons are included in the list. Averna is dark brown, thick, and is best described as being bittersweet. It is sweeter than many Amari and you will note hints of anise, citrus, juniper berries, myrtle, rosemary, and sage in the taste. These flavors may further allude to more secret ingredients, though you can never be sure because some ingredients can mimic others. Bottle 700 ml. 29% Vol. Every year Mr. Cristiani makes a selection of the best Italian grapes Distilleria Cristiani get Grappa Alambicco using an old system of typical distillation of Mastri Distillatori (Distiller Teacher). The Grappa that we obtain has 80%Vol degrees, the smell is intense and soft and the visual test is clear and crystal clear. When the period of rest is finished, the Grappa is frozen under zero degrees at the temperature of -15C., then we filter it. At this point is ready to put inside of bottles. Grappa: 100% Italian Grappa Production Area and characteristic: Our Grappa is chosen especially in North Italy. Aroma: Grappa Alambicco Cristiani is a young grappa, the aroma is dry and balanced. Sensory Properties: Our Grappa is amazingly harmonious, softly scented and delicate on the palate. How to drink: The Grappa is an excellent to drink during a conversation, or after meal. Bottle 700 ml 40% Vol. Grappa is the oldest and most traditional spirit in the North of Italy and is obtained by distilling the solid part of the grape: the marc. On the 1st of December 1973, Benito and Giannola Nonino created the first single varietal Grappa, Monovitigno Nonino, by distilling the marcs of Picolit grapes, thus revolutionizing grappa's production method, promotion and bottling, not just in Italy but around the world. This spirit has been so successful over the years that other Italian and foreign distilleries follow Nonino's model. Grappa Nonino Friulana is made from grape marc, collected from the Friulana vineyard area when it is soft and fresh. It ferments in stainless steel tanks under vacuum at a controlled temperature. It is distilled in traditional steam stills and aged for six months to a year in stainless steel tanks. Sight : Transparent. Nose : Aromas of bread crust and liquorice. Taste : Elegant and persistent. Bottle 700 ml 43% Vol. PRIMARY PRODUCT: Fresh pomace of Chardonnay grapes from dedicated production zones. ARTISANAL DISTILLATION: Discontinuous with head and tail cutting, in copper steam stills. 0% color additives.Lightly amber after a maturation from 8 to 10 months in barriques, refined and elegant, it has a scent reminiscent of bread, vanilla and pastry. On the palate there are notes of chocolate and newly shelled almonds. Bottle 700 ml 41% Vol. 100% Distilled with artisanal method Batch method with the removal of the heads and the tails in special artisanal batch steam stills created by Benito Nonino for the distillation of grapes. The distillation happens very slowly to allow the volatile components, responsible for the perfumes, a proper evaporation period and subsequent condensation, in order to keep intact the precious organoleptic characteristics of the chosen vines varieties. Visual sensation – Intense amber color, clear and inviting. Olfactory Sensation – Soft, lively and complete with nuances of spices, saffron, cinnamon, curry, nutmeg, and the fragrance of dried fruit and just shelled almonds – very persistent. Tasting Sensation – Clear confirmation of the aromatic nuances. Warm, soft, round, persistent and velvety. Bottle 700 ml 41% Vol. Every three months Mr. Cristiani makes a selection of the best Lemon, choosing them especially in our area that it is near the sea. Distilleria Cristiani takes only the peel of lemon, making a long infusion that it is ready after 60 days, in this moment the Master Distiller is a protagonist of a long activity to have a best infusion from the lemon peel. When the period of rest is finished, we makes the filtration, we enjoy the sugar and other ingredients, we make another last filtration and we fill the product. We recommend to drink Limoncello very chilling. We still practice the art authentic liquors. Infusions of plants, with dedication and precision. All liquors are continuously mixed, tested by master distillers, and kept until maturity. The manufacturing process of our liquors is meticulous, never rushed and it is necessary several months to create the product. It is with passion and love for the good things of the past that we have managed to create a unique liquor in taste, quality and perfection. Bottle 700 ml 25% Vol. Monkey Shoulder Scotch is a superb blended malt whisky from William Grant, made with single malts from three famous Speyside distilleries. The result is a smooth, creamy, supple and very malty Scotch which works superbly well neat, over ice, or in whisky cocktails (where it really excels). Nose: An elegant, stylish nose of marmalade, Crema Catalana (apologies, but it really is there), cocoa and malt. Plenty of vanilla and a sprinkling of winter spice (nutmeg, cloves and cinnamon) alongside a mouth-watering hint of aniseed. Palate: Very malty, creamy delivery with a suggestion of berry fruit. Juicy toasted barley, cloves and butterscotch. Manuka honey, hot-buttered-toast and dried apricot develop. Finish: Medium length, spicy oak and a hint of peppermint on the tail. Bottle 700 ml 40% Vol. SAMBUCA CristianiI is an aromatic sweet dessert liquor, with an intense aroma and delicate test. You drink straight or with ice, added to vanilla ice cream or coffee. Sambuca Cristiani is a natural liquor made from the distillation of the flowers and some plants, some very well-known such as Fennel (foeniculum vulgare), star anise (illicium anisatum) and others representing the secret recipe of our Sambuca. The recipe of our Sambuca dates back to 14th century and was found among the ruins of an old Abbey located on the Ligurian hills. We still practice the art authentic liquors.Infusions of plants, with dedication and precision. All liquors are continuously mixed, tested by master distillers, and kept until maturity.The manufacturing process of our liquors is meticulous, never rushed and it is necessary several months to create the product. It is with passion and love for the good things of the past that we have managed to create a unique liquor in taste, quality and perfection. The aroma is created throw the infusion of all herbs for 60 days where the master distiller mix, following his experience. The aroma of Sambuca is sweet with a great density of the products. Bottle 700 ml 38% Vol. Vecchia Romagna's black label is a lovely Italian Brandy that's distilled from Trebbiano grapes in the French "Charentais" style. The Brandy VECCHIA ROMAGNA ETICHETTA NERA, is a distillation of vintage wines. This brandy is unmistakable, through a long aging in part carried out in small oak barrels and a careful handling, giving it a strong, dry taste, an aromatic and complex, a warm color and intense. It is well known and appreciated all over the world for its fine quality and its unique triangular bottle. Bottle 750 ml 40% Vol. There are currently no reviews for IL TEMPIO. To add a review simply click the "Stars" on this page.